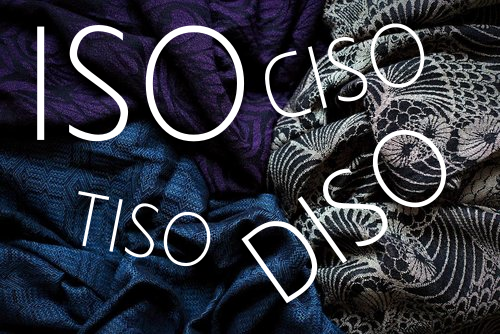 Within the babywearing buy-sell-trade-world you might often see the abbreviations ISO, DISO, CISO and TISO used. Here we'll explain what they mean. Within the babywearing buy-sell-trade-world, ISO, DISO, CISO and TISO are used when searching for a specific carrier to buy. For example: If you long to buy the baby wrap Vanamo Kide Routa in size 4 or 5 you can say: 'I'm ISO Vanamo Kide Routa size 4-5'. If you're really desperate to buy one you'd be DISO, and if you're on the other hand not quite sure if you're ready to buy if a seller appears, you'd maybe only be CISO or TISO. The two terms CISO and TISO are almost used interchangeably. On Wraptrack you can create your own ISO list. That is: A list of all the wraps you'd like to buy. Your ISO-list will consist of all your ISOs, DISOs, CISOs and TISOs. resources >	What does ISO mean?